What’s Your Preferred Mobile Blogging Solution? I recently acquired a WiFi-enabled Smartphone for use as my main mobile. The Nokia E51 runs on the Symbian Series 60 platform (version 3), and can connect to the Internet via wireless LAN and other cellular-based systems like HSDPA, 3G, GPRS and a host of other acronyms that would leave me breathless. And so having the flexibility to check emails, feeds and blog posts from just about anywhere, I have tried several blogging and email solutions that not only let me post text updates, but even multimedia like videos and audio. 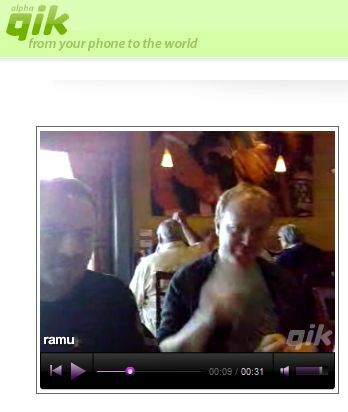 For instance, there’s QiK, which lets you stream live videos straight from your (compatible) mobile phone’s camera. QiK then saves these under your own channel. You can choose to share videos with friends or archive these for your own backup. There’s even YouTube integration, in which you can post videos to YouTube after saving or streaming on QiK. There’s also Scribe, which is a blogging client for Symbian Series 60 powered phones. 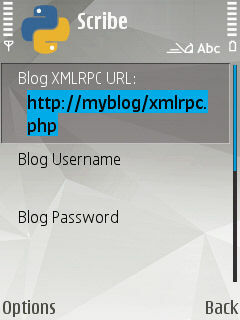 It can work any blogging system or software that uses XML-RPC (which includes WordPress). It’s for publishing or editing text-based blog entries, but you can also insert online media like images, if you know the URLs. ShoZu offers a plethora of online publishing options, including Flickr, WordPress.com, Twitter, Picasa Web, and a whole lot more. It integrates well with your mobile phone’s system, such that you are given the option to directly upload media once saved. ShoZu focuses more on multimedia, though, rather than text blogging. 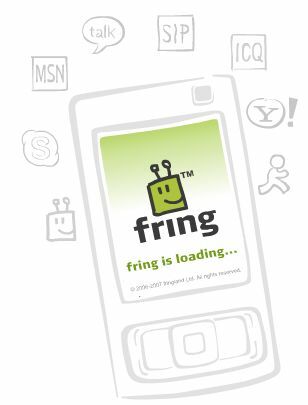 Fring is also one excellent way to communicate, since it supports various instant messaging and even VoIP protocols. When it comes to blogging, you can’t post entries via Fring, but you can receive and post Twitter updates–not full-fledged blogging, but microblogging still! There are others out there, but so far I’ve only been able to try these mentioned above. Most of these apps can run on any network available to your mobile, and most have versions for different platforms. You can count Symbian Series 60, UIQ, the iPhone and Windows Mobile in the list. I have one observation, though. When it comes to blogging and checking emails on my mobile phone, I find myself preferring the phone’s internal Web browser to any add-on application. It seems faster and more responsive. Gmail (my universal inbox) has a mobile version, which is actually faster than the downloadable Gmail mobile. WordPress, meanwhile, seems to be usable even on small screens. Other solutions are simply not as fast, in my opinion. My phone is fairly new, and should have enough processing power, but the apps I’ve used so far simply cannot satisfy my short attention span. Perhaps mobile phone manufacturers should think of including mobile publishing of text and multimedia as built-in options. And while some have done so, it’s not as easy as composing an SMS message and hitting send. What’s your preferred mobile blogging solution, and how does it fare against full-blown blogging from a web browser? I use a terrific service called Utterz (http://www.utterz.com) to blog from the road. By creating an account and setting up some connections, you can push multi-media content from your mobile phone directly to your blog (WordPress, LiveJournal, Blogger, MetaWeblog API), flickr photostream, twitter timeline, yahoo groups or youtube account, plus about a dozen other social media services…with more being added all the time. Hey there, I’m Qik’s director of marketing. Just wanted to point out that the integration with YouTube doesn’t require you to upload separately – your videos will post right to your YouTube account automatically when you record on Qik (if you’ve configured your Qik settings to include YouTube account details). You then just need to edit the titles, descriptions and tags on the YouTube end of things. Thanks for this post. I also have Nokia E51 and have tried some of these apps. I’d like to know how to solve a problem i’m facing now: “no gateway reply” message when i try to connect even to free WLan I used to connect before. I think some people have report the same problem using E51. Could you or anyboby here help me please? Thanks! So far, I don’t see a compelling reason to use any of the mobile applications, as I’ve been reading that they are slow. I still like sending a text message with or without photos, from my phone directly to my Blogger blog, or passing it through Utterz if I want to include audio or video. While one might take any survey with a few sprinklings of salt, at the very least this one suggests that Samsung has had a favorable year among Americans buying its products, something that it needs for momentum as 2015 approaches and the market becomes even more competitive.